Mon., Dec. 17, 2012, 2:03 p.m.
BOISE — As an appeal over the competency of a convicted child killer nears in Idaho’s U.S. District Court, a judge is sorting out just what expert witnesses should be allowed to testify about in the case. 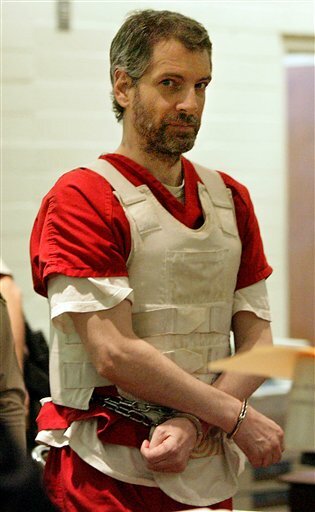 Joseph Edward Duncan III was sentenced to death in 2008 after admitting he kidnapped and tortured two North Idaho children before killing one of them. Duncan had pleaded guilty earlier to state charges of killing the children’s mother, brother and a family friend. He gave up his appeals in the federal case, but his former attorneys argued that he wasn’t mentally competent and fought the sentence on his behalf. Judges are given plenty of leeway in deciding what evidence is relevant to a case, Lodge noted, and existing case law calls on district courts to act as gatekeepers. That means the judge will have to exclude junk science, and try to keep the expert witnesses focused on relevant and reliable testimony that is based on scientific techniques. Published: Dec. 17, 2012, 2:03 p.m.